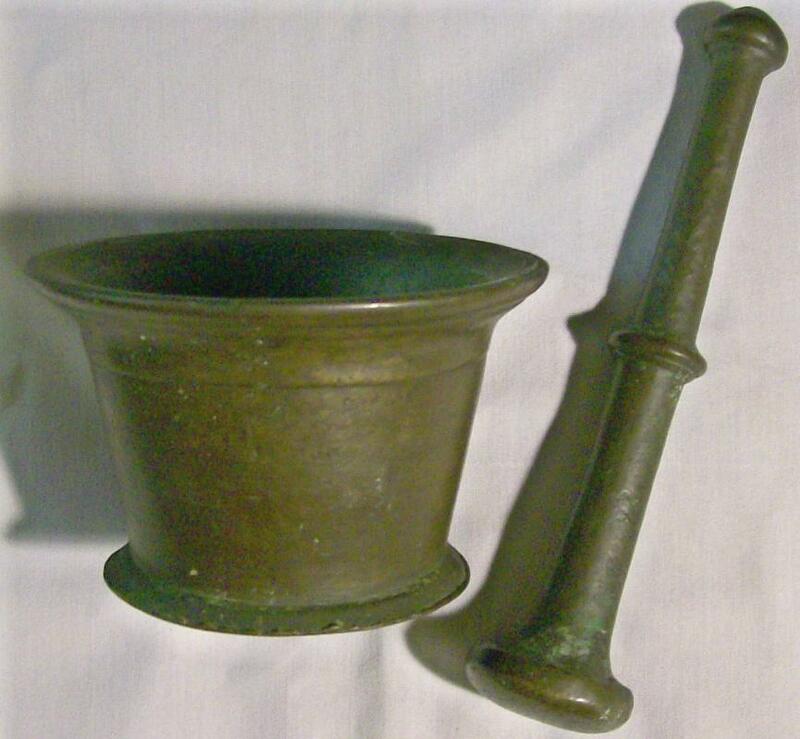 Bronze mortar & pestle set from an 18th-19th century apothecary shop. Sand cast with all it's beautiful surface imperfections and mellow color intonations. Two piece set weighs over 5 pounds. 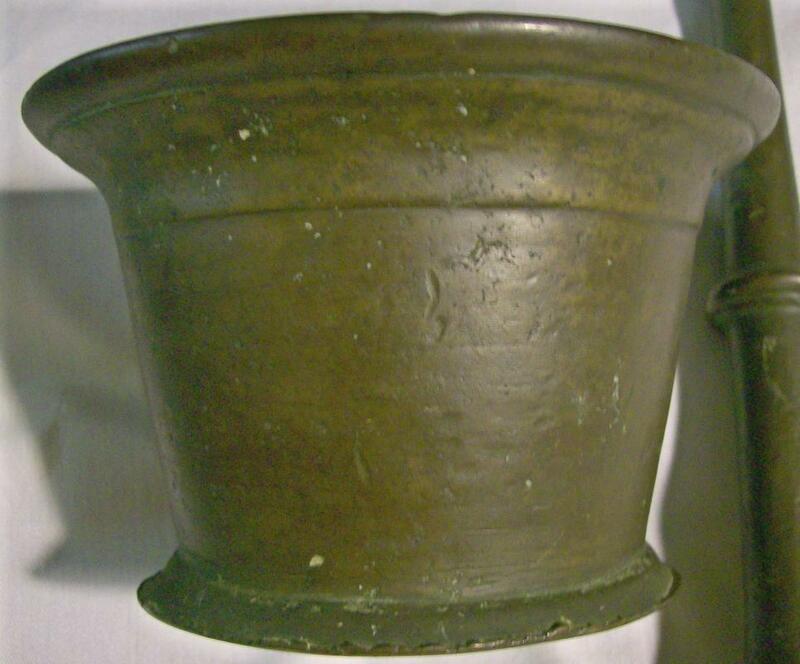 Mortar with flared rim measures 5 1/8"d, 3.25"h; pestle measures 8.5"l. Rings with a beautiful bell-tone. Pestle actually stands steadily in the center of the mortar by itself, so it's a well-matched set. Great gift for someone graduating as a pharmacist! Inglenook Antiques...Established 1989. 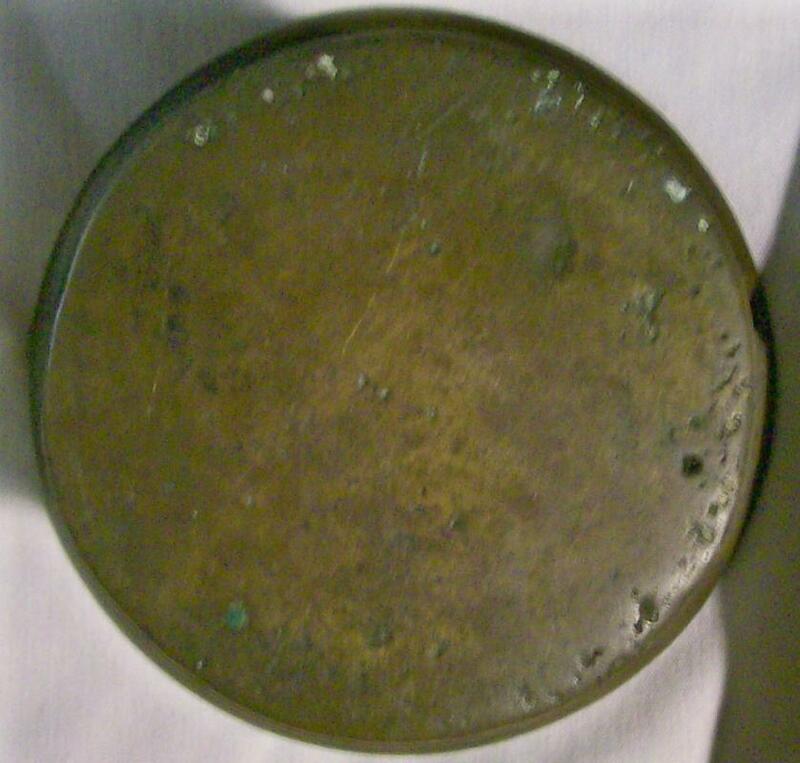 Items Similar To "Bronze Mortar & Pestle Set Ca. 1800 Apothecary"